Q: Three years ago, my daughter purchased the home I live in because I couldn’t qualify for a loan. We are both on the mortgage, but I pay all the taxes, mortgage payments and insurance. She wants to transfer the home to me. How do we do this? I filed for bankruptcy 2 years ago and was hoping to repair my credit and buy the home from her for what it is worth. But because of the credit crisis, the mortgage industry has become very strict on even getting a mortgage. A: You have to look at your situation from two perspectives; from your daughter’s perspective and from yours. From your vantage point, if your daughter wants to have you as the sole owner of the property, she would need to convey her interest in the property to you. In most states she would need to fill out a quit claim deed along with other documents required to transfer title in your state, and then she would have to record the quit claim deed. Once she recorded the document, the home would be yours alone, but the mortgage and debt obligation would still be in your daughter’s name. At some date in the future when your credit history has improved and enough time has elapsed between the bankruptcy and your other credit problems you would be able to refinance the loan on the property and have the loan in your name. From your daughter’s perspective, she has a bit of a larger problem. Since the debt on the home is in her name as well as yours and you probably can’t refinance it now, she should remain on the title to the property. If she transfers her interest in the home to you, she loses control over the home. In family situations, losing that control can be problematic. While you did not mention whether you have other children, if something should happen to you and you fail to pay the mortgage on the home, your daughter’s credit will be affected. If you should die, the home will be transferred to all of your children. Even though your daughter has the obligation on the debt, your other children or heirs may claim the right to the home or cause other problems which could result in disputes and your daughter’s credit being harmed. What you and your daughter should do is sit down and determine where each of you stands in the current situation. If your daughter is trying to do you a favor and transfer the home to you so that you feel that the home is yours, that may be fine, but you and she have to look further down the line. If there are other siblings involved, you have to consider what problems might come down the line. If there is equity in the home – that is to say, the home is worth more than the mortgage balance – whose equity is it? Did your daughter give you money towards the purchase of the home or did she just lend you her signature so you could qualify based on her credit? How do you and your daughter currently hold title to the home? Do you own it jointly with rights of survivorship or as tenants in common? If you own the home as joint tenants, if either of you die, the other gets to own the home automatically. If you own the home as tenants in common, each of you owns a percentage of the home and upon your death, your interest in the home would go to those people designated in your will, or if you don’t have a will, to your family members as required under the laws of your state. If your daughter is your only child and you are not married, it’s probable that your daughter would end up owning the entire property upon your death. Finally, if your daughter is looking to transfer the home to you with the hope that the transfer will remove her name from the obligation on the mortgage to the home, she’s wrong. 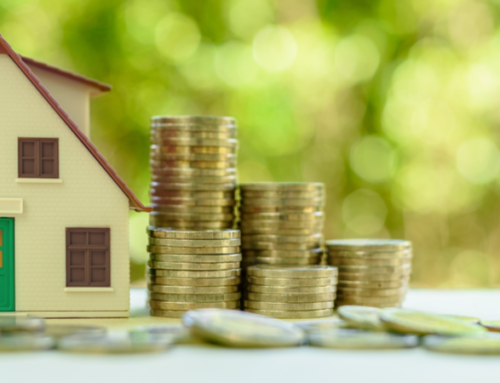 The only way she will be able to remove her name from the debt obligation on your home will be to have the loan paid in full by either selling the home and paying off the debt or by refinancing the debt. If your daughter wants to buy her own home, she has probably realized that her debt-to-income ratio is impaired by the mortgage she co-signed for you. If you’ve kept good records of the fact that you have paid all of the bills relating to your home that will help your daughter greatly. Any new lender will want to know that you had the funds to make all those payments and will need evidence that you actually made all of those payments. Before you change title to your home, she and you should start by sitting down with a good mortgage lender to see how the mortgage on your home affects her credit and her ability to purchase property. Once you figure out that piece to the puzzle, you can decide how to move forward. My husband is in the same situation as your daughter. His name is not on the deed but on the loan, can he still qualified for $8000 tax credit? My family has had a deeded hunting camp (seasonal) since the 60’s 70’s unfortunately the owner of the deed passed away… this is a close relative of mine, who leaves behind a spouse, obviously this is difficult on the family, but I’ve been offered very generously to assume duties and responsibilities for this leased/deeded land, there is an abundance of paperwork regarding everything to do with the camp since day one. With the exception of the actual deed as of right now. The surviving has access to everything else such as 401K etc. I’m not aware of a will, testament or trust regarding the camp. It seems this is going to be a gifted deal where I assume taxes and other fees… From what I’m understanding it appears this is going to have to go to probate court to assess value/taxes, I may be wrong… is there any advice or ideas that could put me on the right track? Thank you kindly. I am also a 100% disabled veteran and did not know if that had any factor in my situation. Thank you kindly for your time! This sounds so frustrating. It is like when people have a home with a marriage and do not make it, and someone has responsibility for the home, they can’t even get their name out of paying even though the other person is being responsible. Lets just say something happens and they can’t pay, since the loan is in your name, you have to pay. sounds like rent forever when married.